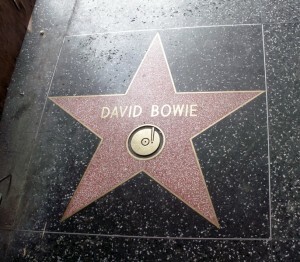 Half an hour ago – I began having flashes of memories when I first discovered the music of David Bowie for myself. Not liking everything but appreciating it all. I can appreciate the work of an artist without appreciating an artist’s conduct outside of their works of art. David Bowie was a great inspiration of creating quality music. Half an hour ago is when the news came in across the wire from the BBC that David Bowie is no longer with us. It was a shock to me as if a respected leader of the Free World had suddenly passed. David Bowie knew how to reinvent himself again and again. Then go back and start it all over again. Even his extreme shift to be “just another member” of Tin Machine – I bought and enjoyed it just as much as his 1983 album “Let’s Dance” the same day those albums were released … no other artist has ever done that with me. The quality of his music reached out across genres and ages. The best example was the Christmas duet with Bing Crosby with “Little Drummer Boy” in 1977 which I remember very well. I’m sure that in the far off distance when 20th century music is studied, he will be regarded in the same way we look back and appreciate Hayden, Bach and Mozart. CLICK HERE for the obituary from the BBC. Appreciate the art – we can separate the conduct from the artistic product.